The Amarakaeri Communal Reserve was created by an initiative of 10 indigenous communities to conserve the multitude of ecosystem services like food, shelter, medicine and water. The reserve contributes to the protection of two watersheds. This ensures the stability of lands and forests, maintaining the quality and quantity of water for the development of native communities suffering increasingly from droughts and floods. 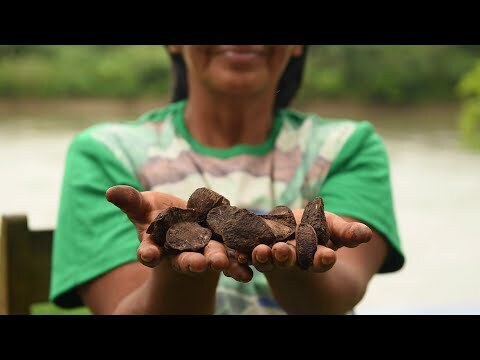 The communities have included in their plans the use of Brazil nuts as a measure to generate economic resources. Contribution to the achievement of the targets set for the water and agricultural sectors (includes a focus on the most vulnerable (small farmers and subsistence farmers)). To gather the necessary information to adapt the productive activity to the future conditions. Replace, reduce or modify current livelihoods of the local populations (logging, mining). Clarify the relation between human habits and sustainable development (eradicate the idea that others are to blame). Indirect: Native communities of San Jose del Karene, Puerto Luz, Barranco Chico, Diamante, Shipetiari, Shintuya and Queros - 1716 community members. enhancing transfer of knowledge to local governments and uptake of measures. Valuation of a non-timber forest product: The marketing of chestnuts is an excellent alternative which contributes to forest protection, climate change mitigation and the provision of multiple ecosystem services. The community Boca Isiriwe asked the National Service of Natural Areas Protected by the State (Servicio Nacional de Áreas Naturales Protegidas por el Estado – SERNANP) to develop this activity as an alternative to illegal logging, allowing them to generate income. The EbA Amazonía project initiated the communications with the communities in order to carry out trainings in sustainable nut harvesting techniques, so that they can be included in the community life plan and the reserve´s master plan. There was increasing involvement of the community members – starting with few partners, currently the initiative has 36 partners. Increase of income for the local population: This solution responds to the economic need of the communities to search for other forms of income compatible with the Reserve, that allows them to satisfy basic educational needs of their children. Valuation of the forest and its goods and services: The main result of the use of Brazil nuts is that it is profitable because the cost of production is less than the selling price in an approximate cost / benefit ratio of 2/3. Social organization for land planning. The Amarakaeri Communal Reserve was created on the initiative of 10 indigenous communities to conserve their ancestral territory and the multitude of services such as food, shelter, medicine and water. 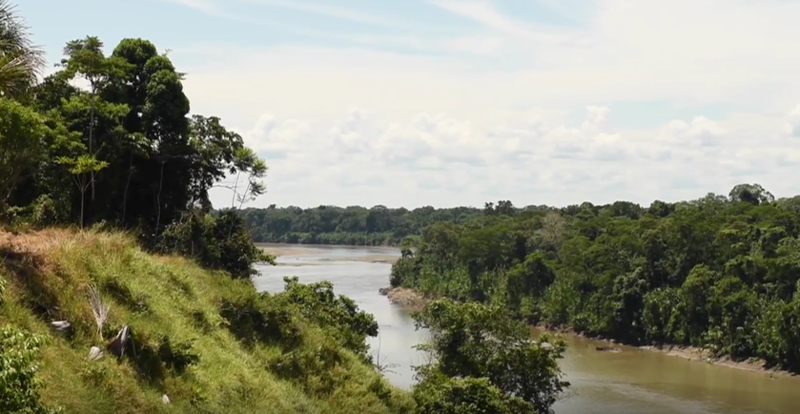 Its establishment seeks to contribute to the protection of the Madre de Dios and Colorado river basins in order to ensure the stability of lands and forests to maintain water quality and quantity, ecological balance and an adequate environment for the development of the Harakmbut native communities. Three of these communities, which suffer most from droughts and floods, have included for the first time the use of Chestnut (Bertholetia excelsa) as a measure to obtain economic income, diversify sources of income and protect natural resources in their life plans. The overall objective of the EbA Amazonia project – which is co-managed by SERNANP, ECA-AMARAKAERI and UNDP – is: To reduce vulnerability of indigenous communities to climate change, increasing their adaptive capacity through the incorporation of community-based adaptation (CbA) and ecosystems-based strategies in the sustainable management of community reserves. This will contribute to the sustainable livelihoods of these indigenous communities and will ensure the conservation of approximately 500.000 hectares of high conservation value forest. Before the use of chestnut was introduced to the three communities there had been a conflict between the Boca Isiriwe community and the reserve management because of illegal logging within the Amarakaeri Communal Reserve. In the light of this situation, the community requested SERNANP to support the development of alternative economic activities which would allow the communities to generate income for their families. In this sense, the reserve management proposed the use of the chestnut on their communal lands and in the future in the Amarakaeri Communal Reserve. The project initiated the communications and coordination with the communities to train them in techniques of sustainable harvesting of chestnuts so that they can be included in both the community life plan and the reserve´s master plan. The process began in 2014. During this short period of time the community members have become gradually involved, with growing confidence in the proposal and in the project representatives. It started with one member per community and up to the moment there are already 36 members from three different communities. WANDAKDA MORICK’KE: ¡Qué buena es mi castaña!